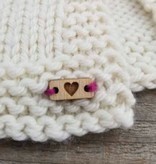 The Katrinkles Tiny Heart Tags are ooh so tiny! 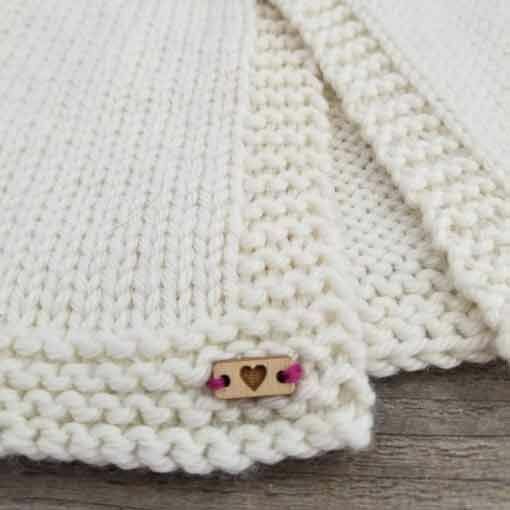 They are the perfect small size to stitch onto baby shower gifts and a great way to personalize your handmade accessories. 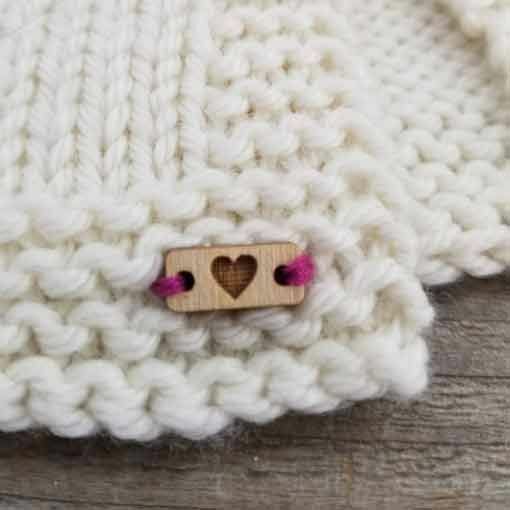 Each tag measures approximately 6mm x 13mm and are cut from 1/8" thick birch. These tags are machine washable and dryable, but we recommend hand wash dry flat to keep them in tip top shape. 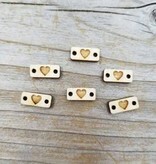 Tiny Heart Tags are sold by the piece. 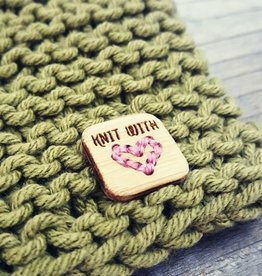 Add the ultimate finishing touch to your handknit gift with Katrinkles Knit With Love Stitchable Tags. 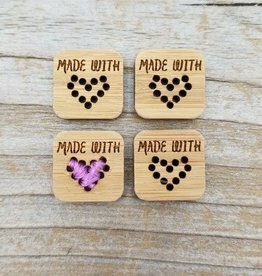 Made from bamboo, each tag measures 3/4" square. 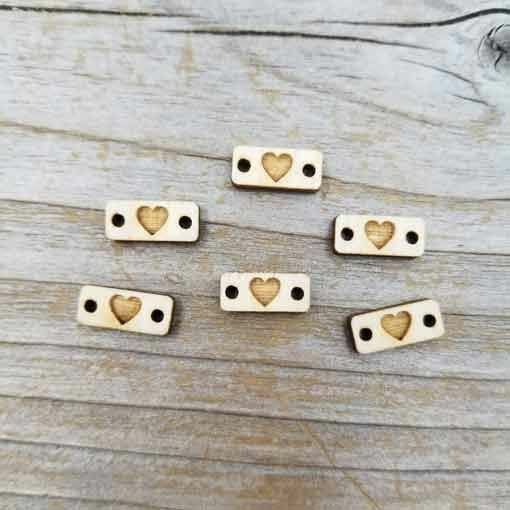 The Katrinkles Made With Love Stitchable Heart Tags are the perfect way to personalize your handmade gift. 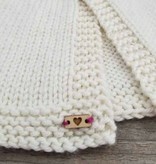 A great addition to any knit or crochet gift.